Have you been looking for the secret to gain more Pinterest followers? Over the past few months, I’ve been working hard to increase my Pinterest follower numbers. Now that I’ve instituted a system for myself, I gain between 100-200 new followers a week. It’s been surprisingly successful, and I’d love to pass on to you what’s been working for me. 1. Title your boards with basic names. As fun as it is to have “cute” names for your boards, if you’re looking to gain followers, change them to basic names like Recipes, Beauty, Cupcakes, etc., so potential followers know what the board is about. I had a board full of great beauty ideas that I labelled, “Things for Teenage Daughters.” At the time I named it for MY teenage daughter. It’s full of hair techniques and make up and clothes. Anyone else seeing name that would have probably skipped over it, especially if they didn’t have a teenage daughter. Since then, I’ve renamed it Beauty, and I get new followers on that board all the time now. Prior to the renaming — nada. Move your boards around. First, make sure your own boards (not group boards) are at the top of your Pinterest page. Then, place the ones you pin to the most at the very top. I tend to order mine based on the frequency of my pinning. The board for my blog posts is always the very first board. 3. Place a Hover button on your blog images. Make it as easy as possible for readers to pin your images. Using a hover button will greatly increase your chances of getting pinned, and it’s super easy to install. My favorite WordPress plugin for a Pinterest hover button is JQuery Pin It Button for Images. When I was on Blogger, this tutorial is what I used to add a hover button to my blog. 4. Join group Pin boards and pin to them. Find group boards that match your interests and pin to them regularly. When I write a new blog post, I always pin it to a few of my group boards throughout the day. I’ve been invited to many group boards by the blogging Facebook groups and Google+ communities I’m in. I’ve found this is the easiest way to find group boards. 5. 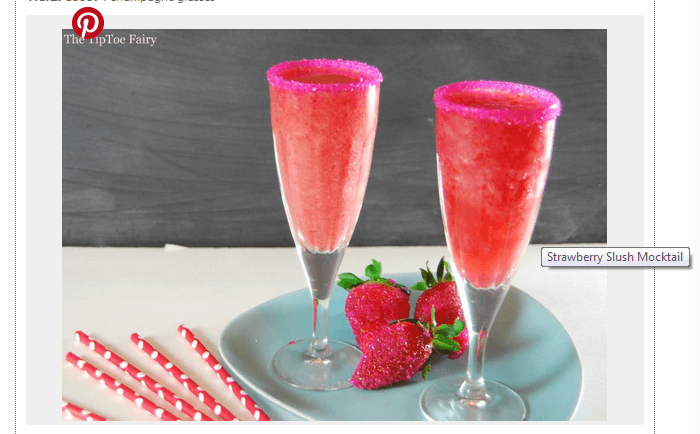 Have a Pinterest widget in your sidebar on your blog. Follow The TipToe Fairy’s board The TipToe Fairy Blog Posts on Pinterest. This is an example of a widget Pin board from one of my boards. You can choose one of your popular boards to use as a widget, or you can choose what you’re pinning yourself. I have one of what I’m pinning in my sidebar. To make your own widget, go to the widget builder. 6. Change cover photos for your boards every 3-5 weeks. Keep things fresh! About once a month go through your Pinterest boards and update the cover picture. This is a great way to entice new followers to check out one of your boards. 7. 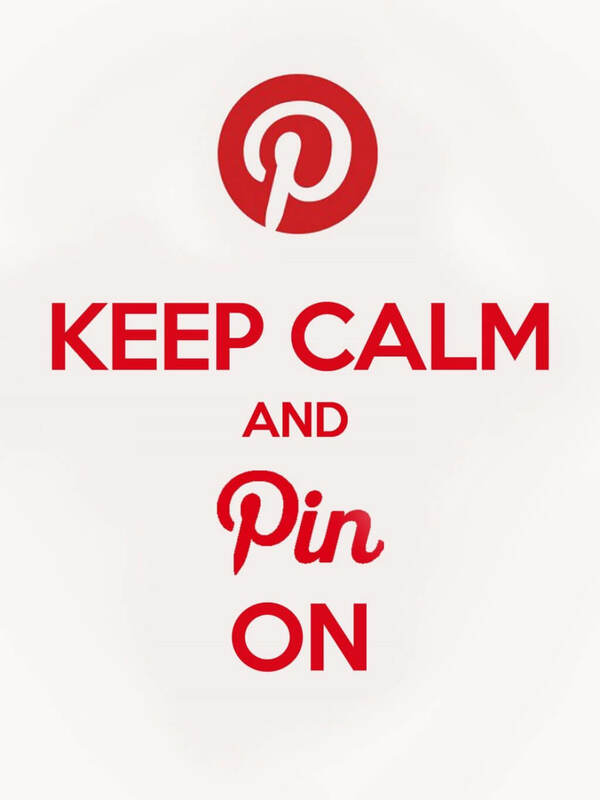 Join Pinterest promoting Facebook groups and participate. Find Facebook groups that are all about bloggers promoting each others’ pins. This way you are getting exposure with other bloggers Pinterest followers, too. There are groups that require you to post everyone’s posted pin in a thread, and some just require you to repin 3-5 or so. I’m in groups both ways. To find FB groups, just use the search when you log into FB. Try searching “pinterest groups” or something similar. 8. Share a link with readers to show what others are pinning from you. I made this one on PicMonkey and keep it in my side bar. 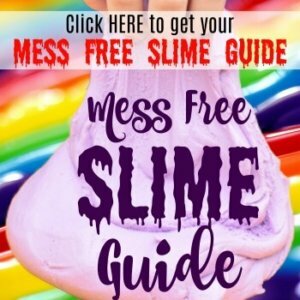 Go to this tutorial to see how easy it is to do! 9. Pin a few of your older blog posts once every 4-6 months. As you gain more and more followers, it’s good to pin a couple of older blog posts to the top of a particular board. I usually pin older posts to a different board. I also don’t “repin” them from older pins, but I go back to the post and pin directly from it. Every time I do this, I see a definitive increase in repins and an increase in blog stats. 10. Pin regularly throughout the day. 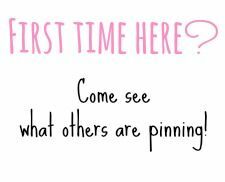 I pin several times a day. I usually do about 10 pins at a time and then come back a few hours later and pin 10 or so again. I also make sure to pin a variety of topics, not just one as I pin. I’ve logged in to Pinterest and on my front page seen someone I’m following pin 95 shades of nail polish or 15 different recipes for lasagna, etc. It gets annoying to wade through that, but if you’re pinning a variety of topics at once, your followers are not going to notice 10 pins as spam. 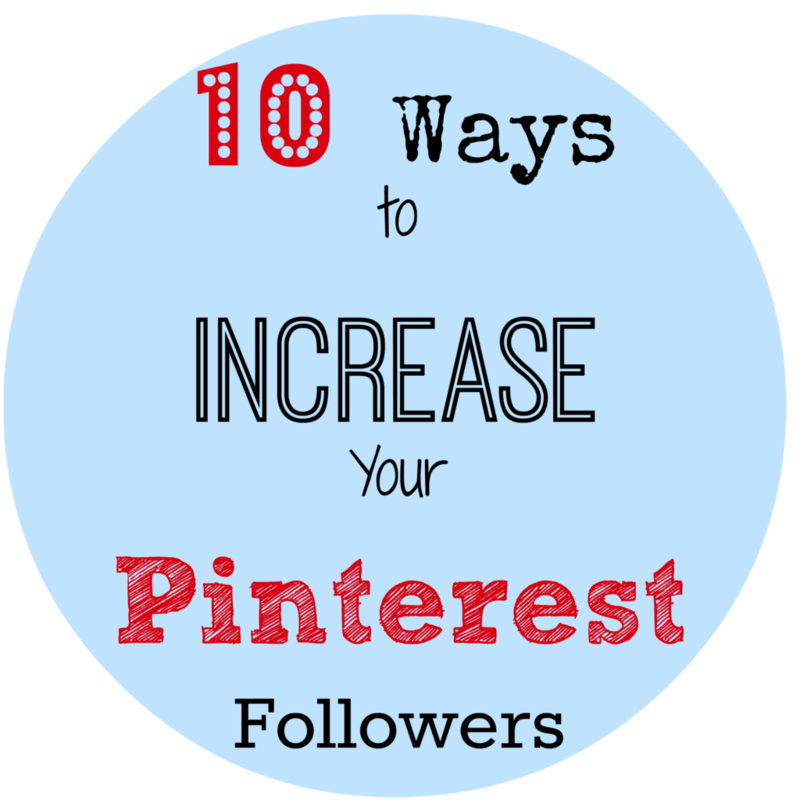 I hope these tips can help you and you can quickly increase Pinterest followers, too! 9 out of 10, I’m doing okay. I don’t use a hover button but have a widget directly under specific photos. This is perfect. I need to work my way through this whole list… Oh, and I’m heading over to follow you on pinterest! Great tips. Switching out the Pinterest board covers is on my monthly blogger checklist and I try to rotate the order of my boards too based on what’s hot (e.g., right now St. Patrick’s Day and spring) rather than just boards that are my favorite. Not sure it’s making a difference but I like the organization. Never thought about refreshing my cover photos for my boards! I like that one, now I just need to remember to do that, and find the extra time. Thanks for sharing! Great tips! I joined a couple of Facebook groups on your suggestion! 🙂 Blessing to you! Your tip about mixing up the content when you pin a lot in a short time is gold. That’s the nuance that seems to get lost when people say “don’t pin a lot at once!” I don’t care if you pin 20 times in a row as long as it isn’t all macaron recipes, you know? I’m so obsessed with Pinterest. It is really not healthy. Great info. Thanks. I’ve been wondering if I’ve been doing everything I could on Pinterest and I’m not. Coming over from Daily Blog Boost.